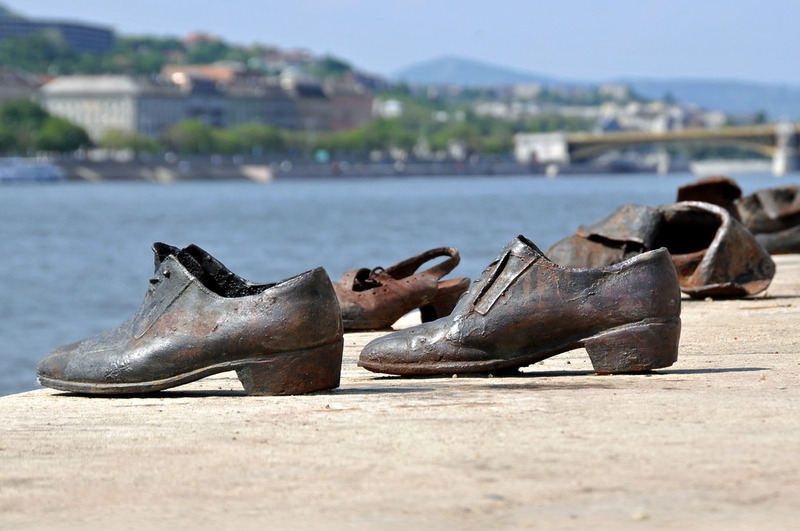 Shoes on the Danube is a chilling memorial to Hungarian victims of the Holocaust. One of several Holocaust memorials in Budapest, it speaks to one of the city’s darkest hours. Ferenc Szalasi was a fascist leader of Hungary who was installed by Hitler’s Germany in 1944. He oversaw the murder of 20,000 Jews on the Danube river bank alone. Szalasi’s victims were asked to remove their shoes before being shot. As the river washed away their bodies, the shoes were taken as valuable wartime commodities. The strange tragedy inspired sculptor Gyula Pauer and filmmaker Can Togay to create 60 pairs of life-sized shoe models, laid along the bank in 2005 as a reminder of what happened. The shoes were made to follow a 1940s style, and include men’s, women’s and children’s. This is an accurate reflection of the shootings, which crossed all genders, classes and age groups of Hungary’s Jewish communities. They face the Hungarian Parliament Building on the opposite bank, putting high and low points together of national history. At night you’ll often find candles, laid by relatives of those who died and other well-wishers. Visitors say that the flickering candlelight gives the memorial a very different atmosphere to daytime. Like so many parts of Budapest, then, it’s worth visiting Shoes on the Danube twice.